The second-generation Nest Learning Thermostat is slimmer and sleeker than the first, boasting a slick steel and glass design. 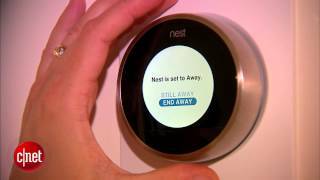 The Nest works in most homes, with most heating and cooling systems, and is designed to be easy to install. 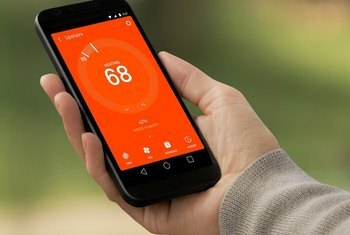 The Nest learns your heating and cooling habits and creates an automated schedule accordingly. 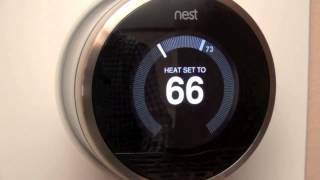 The Nest's Auto Away feature can kick in when you're at home if you don't walk by the thermostat often enough. Some homeowners, especially those in older homes, may need help installing the Nest. The Nest is more expensive than the average, off-the-rack programmable thermostat. The Nest Learning Thermostat doesn’t look like your average thermostat, which makes sense when you consider that this thing was designed by the guy who invented the iPod. Yes, the original iPod. The Nest features a scrolling wheel that will be familiar to anyone who used one of Apple’s early digital audio players--only here that wheel lets you control the temperature in your house. 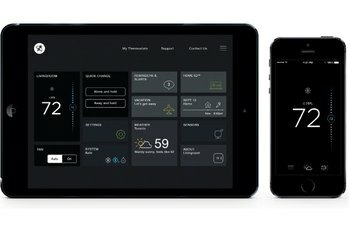 Over time, you may not even need to touch it: The Nest is designed to learn your heating and cooling habits and create a schedule accordingly. ...the first-generation Nest Learning Thermostat was the most beautiful, intuitive home automation device I'd seen, and the new version tops the old. 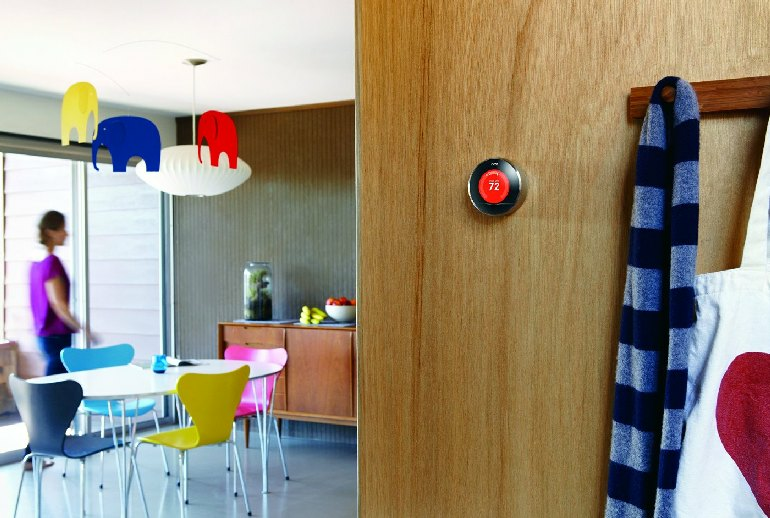 Unlike typical thermostats, Nest tracks every time you adjust the temperature or schedule, and it learns your preferences after a week of observation. 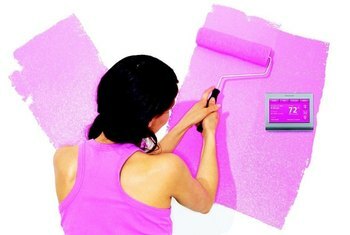 Its simple installation and learning capabilities will still appeal to users who shy away from high-tech products or simply don't want to be bothered with trying to figure out how to program a thermostat. 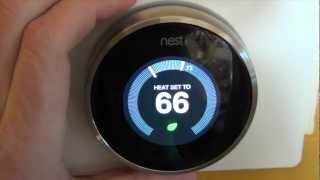 When you consider that nearly every home has a thermostat on its wall, you have to wonder why no one ever thought to make one that’s not only smart and easy to use, but also so beguilingly attractive to look at. This thermostat is a giant step towards the future, where computers take over and become our masters...ok, maybe I'm going too far there. In all seriousness, this thermostat really is of the next generation of thermostats. 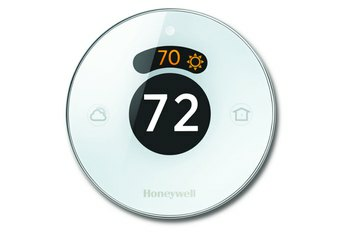 The thermostat's design is loosely similar to Apple iPod's click wheel. Not a surprise given that Nest was created by the same guy who designed the iPod more than a decade ago. Setup is swift, as there is no need to set temperature for times and days. The Nest learns from the actions users take during the first week or two, to understand the owner’s schedule and preferences. Even the inside of the thermostat, with connectors for your HVAC’s wiring, has been redesigned with subtle modifications which make it easier to snake the wires around and hook them up. 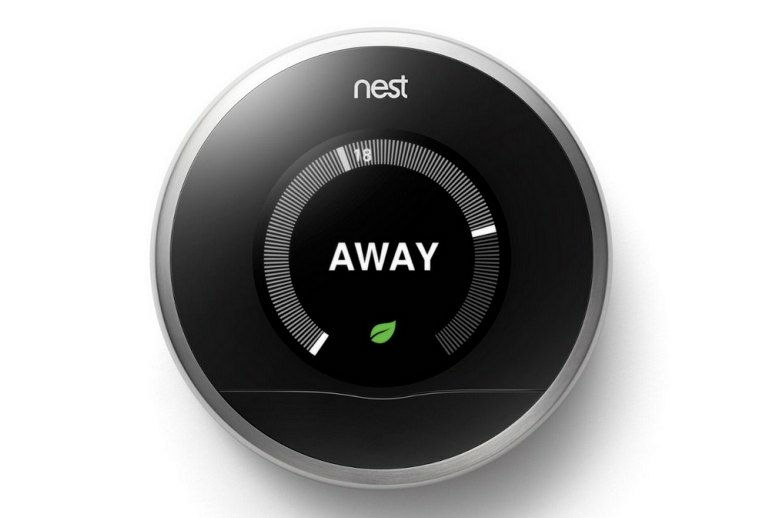 I am on my second Nest -- I got one as soon as it started shipping, but had to leave it behind when I sold my house. I got a second one right away when I moved. It's attractive and modern looking, but more important I love how easy it is to precisely program the temperature from my phone or the web. It also learns, but I never really rely on that very much. It's also interesting that so many new devices "plug into" the Nest -- home home alarm systems. In just a few months, my Nest thermostat paid for itself through savings in my electric bill. It's really convenient and truly is the thermostat of the future. Had this for a while but returned it for a honeywell. Setting it up is a pain especially when entering wifi passwords as the only way to input is through spinning and pressing the unit. It looks very modern, so it probably won't look great in all homes. And motion detection on it makes the "smart" features of it quite unreliable if you mount it at a place where it won't see much traffic, like the hallway if you're staying in the living room most of the time.